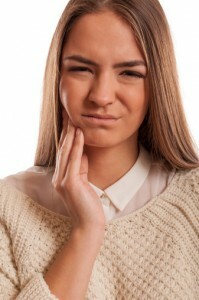 Do you suffer from periodic toothaches and tooth sensitivity? If so, you may need root canal therapy from Dr. Donnelly to save the tooth from extraction. Root canal therapy removes the inflamed and infected pulp inside your tooth. Your tooth is then carefully cleaned and disinfected, and then filled and sealed with a material called gutta-percha. Afterwards, your tooth can be completely restored to normal form and functioning with a dental crown or filling. To eliminate discomfort and avoid tooth loss, make an appointment with Dr. Donnelly at San Marcos Gentle Dental for the root canal therapy you need today. Dr. Donnelly is a trusted San Marcos restorative dentist. San Marcos Gentle Dental proudly serves families throughout San Marcos, TX, Kyle, Wimberley, New Braunfels, and nearby cities. Inside each tooth is a soft tissue called the dental pulp. Dental pulp contains the blood vessels, nerves, and connective tissues that grow the root of your tooth during its development. However, once your teeth are fully developed, they can survive without the dental pulp. Root canal therapy is necessary when the pulp inside a tooth becomes inflamed or infected. The inflammation or infection can have a variety of causes including: decay, repeated dental procedures, faulty crowns, or cracks and chips. In addition, dental trauma can cause pulp damage even if your tooth has no visible distress. If dental pulp inflammation or infection is left untreated, it can lead to severe pain and sensitivity or dental abscess. First, Dr. Donnelly will x-ray your tooth and administer a local anesthetic. After your tooth is numb, a small protective dental dam is placed over the area to isolate the tooth during the procedure. Next, Dr. Donnelly will open the crown of your tooth and clean out and disinfect the pulp chamber and root canals so that they can then be shaped and filled. After the space is cleaned and shaped, Dr. Donnelly will fill the root canals with biocompatible material and adhesive cement to ensure complete sealing. Next, a temporary filling is placed until your restoration is ready. Root canal therapy can help you maintain your natural smile, continue to eat the foods you love, and reduce the need for future costly dental treatments. With proper oral care and maintenance, most teeth treated with root canal therapy last just as long as other natural teeth. Millions of patients save their natural teeth each year with root canal therapy treatment. Make your root canal therapy appointment with Dr. Donnelly at San Marcos Gentle Dental today. Dr. Donnelly is a highly qualified family restorative dentist. San Marcos Gentle Dental proudly serves patients of all ages throughout San Marcos, TX, Kyle, Wimberley, New Braunfels, and the surrounding communities.